Apple’s biggest new product is almost here — and no, it’s not a device with a screen. This grand opening has been years in the making. Apple’s new campus now has a name and an opening date. 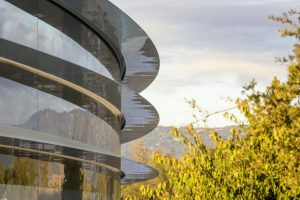 It’ll be called Apple Park and the first employees will move in April 2017, nearly six years after its late founder and CEO Steve Jobs publicly unveiled plans for the building’s “spaceship” design. 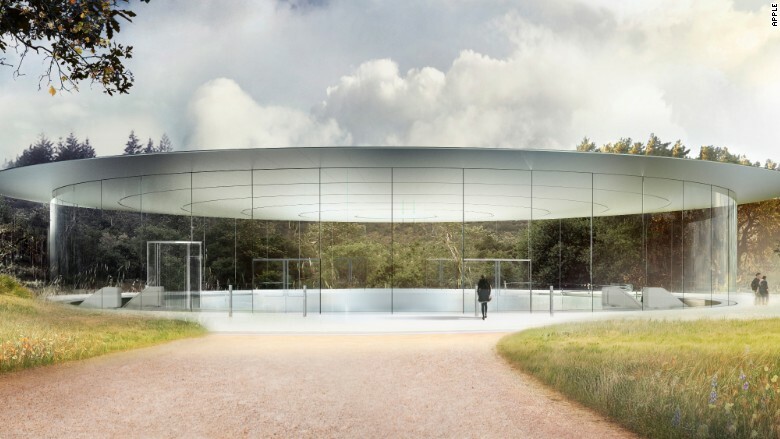 The 175-acre campus officially dubbed “Apple Park” will include a 2.8 million square foot main building made from curved glass as well as a large fitness center, thousands of trees and an auditorium called the Steve Jobs Theater. As 12,000 Apple employees are going to work there, the move isn’t going to be an easy task. It’s going to take roughly six months to have everyone there. While April is the grand opening, construction will continue through the summer for the final touches. The campus will also be powered by 100% renewable energy, according to the company. Much of the project is being framed by Apple as a tribute to Jobs, who died in 2011. “Steve’s vision for Apple stretched far beyond his time with us. He intended Apple Park to be the home of innovation for generations to come,” CEO Tim Cook said in a statement Wednesday. 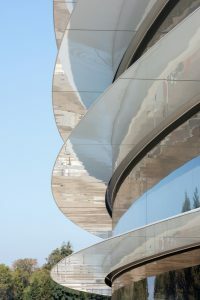 From the outside, the project led by Foster + Partners hasn’t differed much from Steve Jobs’ original idea. He first presented the new Apple campus to the Cupertino City Council back in 2011, a few months before he passed away. In many ways, this campus is Jobs’ last product launch. Apple has been very secretive for the interior design of the building. It’s unclear if the building will have big open spaces or if it will be divided into many rooms. But that ambition didn’t come cheap. The cost for the Cupertino campus reportedly jumped from $3 billion to nearly $5 billion — though that’s still pocket change for a business with nearly $250 billion in cash sitting around. The campus isn’t just for employees, however. Apple’s executives also have high hopes the campus, equipped with a visitor center and public cafe, will become a new tourist attraction in California. One very interesting feature is the ventilation system. It’ll be a naturally ventilated building so that it doesn’t require any heating or air conditioning for nine months of the year.